We love wedding ceremonies - the time-honored traditions, the different customs of each culture and religion, the ways in which couples personalize their wedding ceremony. After all, although they usually take no longer than 15 minutes, the wedding vows are actually what the whole day is about! At this ceremony, the couple could not help giggling with each other. As photographers we love to capture split-second loving moments like this. 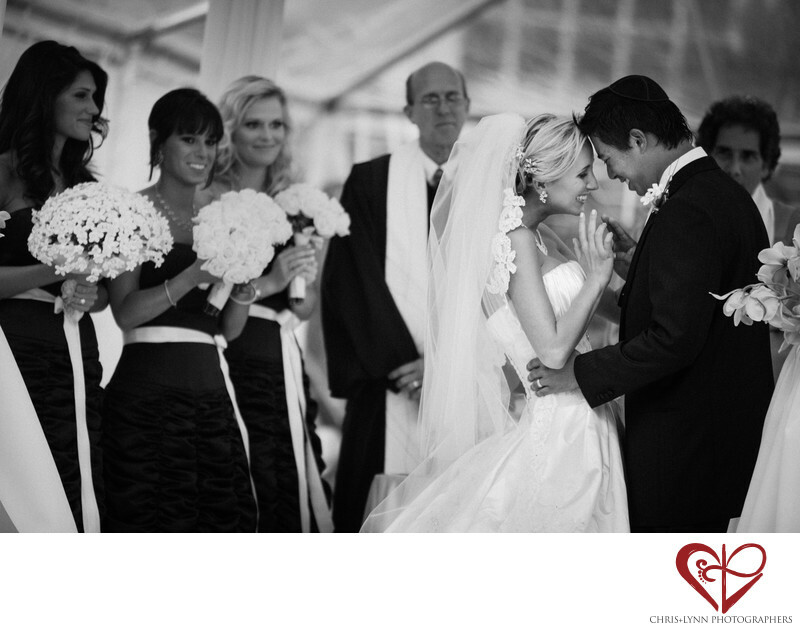 Many of our favorite photos are the ones where couples were actually completely unaware of the camera! This type of wedding photo is known as wedding photojournalism. The term photojournalism originally comes from newspapers and magazines to refer to visual storytelling with candid photos with little to no photographer direction or interaction. Brides often ask us for advice of how to get natural looking wedding photos. Our main tip for them is simply to be in the moment! And savor that moment, no matter what! Let your wedding planner to concern himself with the ceremony logistics and reception details and just focus on what's really important - your family, your friends, and the person you are about to marry. Know that some things may not go perfectly - a groomsmen might forget his jacket, a bridesmaid might break a heel, your flowers may be the wrong shade of white- and that's ok! Just laugh it off & enjoy this once-in-a-lifetime day!